The Fluidmaster Tank Flush Valve Kit has everything you need to replace the flush valve and flapper, solid brass tank-to-bowl bolts and tank-to-bowl gasket. Even customize your Gal. per flush. Corrosion and chlorine resistant materials used for long wear. With Fluidmaster's Fill Valve and Flapper Repair Kit, you can easily fix a toilet that runs excessively. Includes both the worlds #1 best selling 400A anti-siphon toilet fill valve and the 501 toilet flapper. This product is the perfect and the #1 solution to fix your noisy and running toilet. 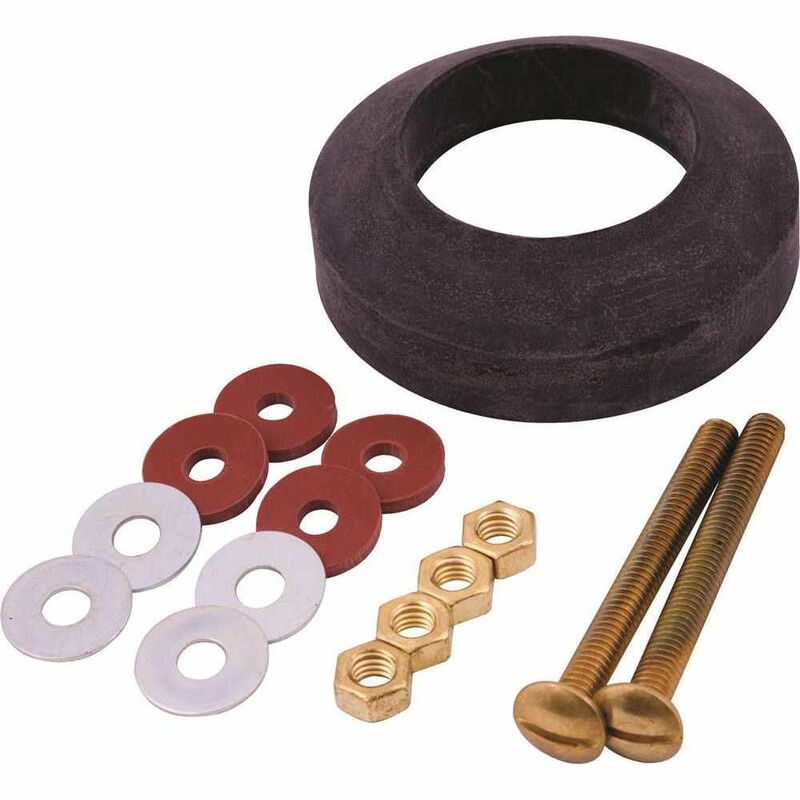 American Standard Tank-To-Bowl Repair Kit is rated 5.0 out of 5 by 1. Rated 5 out of 5 by Steven from Great price. Great price. Fits my older model toilets and easy to install.